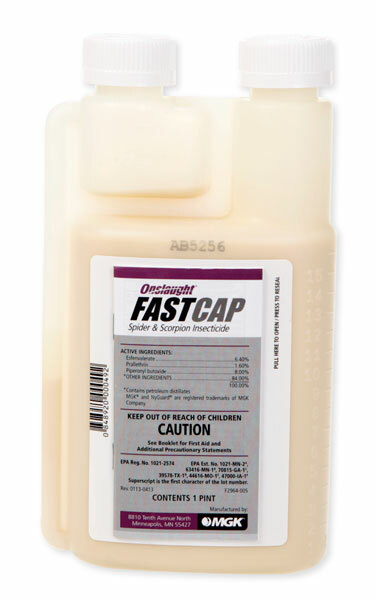 Onslaught Fastcap is a concentrated insecticide. It will make approximately 16 gallons of spray at the full mix rate, or 32 gallons of spray at the half mix rate. As far as how much area it will treat, that is difficult to determine. If using on a lawn, the usual rate is 1 gallon of mix per 1,000 square feet. So basically at the full rate it would treat 16,000 square feet, 32,000 square feet at the half rate. As far as indoor spraying goes, normally 1/2 gallon or less is enough to treat an entire home. 1 bottle could treat 32 homes or 64 homes depending on how much is used. Hope this helps.